How Does the Living Church of God Differ From Traditional Protestantism? Other than the fact that the Living Church of God is not Protestant, the most obvious proof of that is from our history and practices. 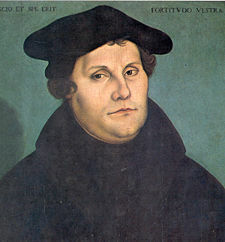 While most Protestants trace their history through the Catholic Church until the time of the reformation led by Martin Luther, the Living Church of God (LCG) traces its history from the first Pentecost after the crucifixion of Jesus through early leaders such as Peter, Paul, John, Polycarp, Melito, and Polycrates (more information can be found in the articles Location of the Early Church: Another Look at Ephesus, Smyrna, and Rome and The Churches of Revelation 2 & 3 as well as the History of Early Christianity page). While there are many beliefs within the Protestant world (which makes having all encompassing statements almost impossible), this paper will most often referred to the predominant historical beliefs within Protestantism (mainly by its leaders/theologians) on the subjects it addresses. Contrary to what some seem to feel, the message of the Living Church of God is one of hope for all humankind. And I heard a loud voice from heaven saying, “Behold, the tabernacle of God is with men, and He will dwell with them, and they shall be His people. God Himself will be with them and be their God. And God will wipe away every tear from their eyes; there shall be no more death, nor sorrow, nor crying. There shall be no more pain, for the former things have passed away (Revelation 21:3-5). The Protestants and the Living Church of God accept this plain teaching. But who will be saved and who will not be? Blessed are those who do His commandments, that they may have the right to the tree of life, and may enter through the gates into the city. But outside are dogs and sorcerers and sexually immoral and murderers and idolaters, and whoever loves and practices a lie (Revelation 22:14-15). But sadly many (though not all) Protestants seem to have a differing view. Modern Evangelicalism, under the influence of dispensationalism, commonly denies that the commandments have any abiding validity as a requirement binding upon Christians (Ten Commandments. Wikipedia, viewed 7/30/08. Today Christians keep the Law of Christ which is superior! 1 Cor 9:21; Gal 6:2 (http://www.bible.ca/7-10-commandments.htm viewed 7/31/08). Introduction The ten commandments are no longer lawful: they are not binding on the Christian. Christian scripture says the ten commandments were abolished Ephesians 2:15; a bible believing person is no longer bound to follow them; in fact (http://my.opera.com/richardinbellingham/blog/the-ten-commandments-were-abolished viewed 7/30/08). THE TEN COMMANDMENTS ARE NOT FOR CHRISTIANS (Richard Bethel. http://www.bethelministries.com/ten_commandments.htm viewed 7/30/08). Not all of the Ten Commandments were carried over into the law of Christ (Jeffrey W. Hamilton, preacher. La Vista Church of Christ. http://www.lavistachurchofchrist.org/LVanswers/2004-11-23.htm viewed 7/30/08). Of course, we in the Living Church of God disagree with those who do not realize that the true Christian church never believed that the Ten Commandments were somehow done away (see The Ten Commandments and the Early Church). Another major difference between the Living Church of God and traditional Protestantism is that we observe biblical Holy Days like the Last Great Day (which is observed today). This day pictures that even though many have been deceived throughout the ages, that God will give everyone a real opportunity for salvation. Protestants, who do not observe these days, seem to feel that this current age is the only possible time of salvation, even though they will normally admit that most who ever lived have never even heard the truth about Jesus and know that the Bible teaches there is, “no other name under heaven given among men by which we must be saved” (Acts 4:12). And all flesh shall see the salvation of God. The writer makes plain at the outset of Jesus’ ministry that He had a universal message. (from The Wycliffe Bible Commentary, Electronic Database. Copyright (c) 1962 by Moody Press). But of course, Luke 3:6 does not state only that the message is universal, it teaches that all flesh SHALL see the salvation of God. Hence, the billions throughout history in Asia and Africa (and elsewhere) are not condemned to suffer forever for following practices they really do not understand. (Three articles of related interest may include Asia in Prophecy, Africa: Its Biblical Past and Prophesied Future, and Universal Offer of Salvation: There Are Hundreds of Verses in the Bible Supporting the Doctrine of True Apocatastasis). Although classical theology is certainly not without its problems, historically it is almost always the case that the appeal to the Bible alone…leads to the reemergence of ancient heresies…The Reformation began with the slogan “To the sources!” and sought to deal a fatal blow to the place of church tradition in shaping life and faith…Despite their efforts not to be influenced by the authority of tradition, each of the major Reformation churches found itself borrowing from the past and building up a traditionalism of its own…when the Anabaptists and other radicals discovered Scripture to be teaching things the Lutherans found detestable, Lutherans learned the usefulness of tradition..(Brown HOJ., Heresies: Heresy and Orthodoxy in the History of the Church. Hendrickson Publishers, Peabody (MA), 1988,pp. 335,350-351). But if the “heresies” are in the Bible, then is it not the Protestant and other non-biblical views that are truly heretical? One of the reasons that the early Protestant leaders such as Martin Luther and John Calvin misunderstand salvation is that they denounced those who taught the millennium. Luther and Melanchthon, Zwingli and Bullinger, and Calvin and Beza repudiated the millenarian doctrine (Cogley, Richard W. The fall of the Ottoman Empire and the restoration of Israel in the “Judeo-centric” strand of Puritan millenarianism. Church History. June 1, 2003. http://goliath.ecnext.com/coms2/gi_0199-3064883/The-fall-of-the-Ottoman.html viewed 12/24/07). The truth is that the Protestant world in general plays lip service to “the Bible alone” but sadly has traditions that contradict it. More information on the millennium can be found in the article Did The Early Church Teach Millenarianism? What then? Israel has not obtained what it seeks; but the elect have obtained it, and the rest were blinded. Just as it is written: “God has given them a spirit of stupor, Eyes that they should not see And ears that they should not hear, To this very day.” And David says: “Let their table become a snare and a trap, A stumbling block and a recompense to them. Let their eyes be darkened, so that they do not see, And bow down their back always.” I say then, have they stumbled that they should fall? Certainly not! But through their fall, to provoke them to jealousy, salvation has come to the Gentiles. Now if their fall is riches for the world, and their failure riches for the Gentiles, how much more their fullness! For I speak to you Gentiles; inasmuch as I am an apostle to the Gentiles, I magnify my ministry, If by any means I may provoke to jealousy those who are my flesh and save some of them. For if their being cast away is the reconciling of the world, what will their acceptance be but life from the dead? For if the firstfruit is holy, the lump is also holy; and if the root is holy, so are the branches. And if some of the branches were broken off, and you, being a wild olive tree, were grafted in among them, and with them became a partaker of the root and fatness of the olive tree, Do not boast against the branches. But if you do boast, remember that you do not support the root, but the root supports you. You will say then, “Branches were broken off that I might be grafted in.” Well said. Because of unbelief they were broken off, and you stand by faith. Do not be haughty, but fear. For if God did not spare the natural branches, He may not spare you either. Therefore consider the goodness and severity of God: on those who fell, severity; but toward you, goodness, if you continue in His goodness. Otherwise you also will be cut off. And they also, if they do not continue in unbelief, will be grafted in, for God is able to graft them in again. For if you were cut out of the olive tree which is wild by nature, and were grafted contrary to nature into a cultivated olive tree, how much more will these, who are natural branches, be grafted into their own olive tree? For I do not desire, brethren, that you should be ignorant of this mystery, lest you should be wise in your own opinion, that blindness in part has happened to Israel until the fullness of the Gentiles has come in. And so all Israel will be saved, as it is written: “The Deliverer will come out of Zion, And He will turn away ungodliness from Jacob; For this is My covenant with them, When I take away their sins” (Romans 11:7-27). Notice that many were blinded. God did not allow them to see in this age. And these include those that have long been dead. Are they doomed to eternal torment by a loving God because He allowed them to be blinded now? Jesus explained, “If you were blind, you would have no sin” (John 9:41). Since Jesus felt those who physically saw Him, heard Him, and had Him crucified should be forgiven, certainly Jesus does not think that those who do not understand about Him now should be condemned. Does your church understand this? Do they understand that those that crucified Christ rejected Him as their Lord and Savour, yet Jesus wanted them to be forgiven? What would be the point of them being forgiven if they are destined to spend eternity frying in eternal torment as they clearly rejected Jesus? Well, there would be no point. It should also be noted that when Paul uses the term “all Israel”, he seems to be referring to “spiritual Israel” (as opposed to physical Israel). For earlier in Romans he wrote, “For he is not a Jew who is one outwardly, nor is circumcision that which is outward in the flesh; But he is a Jew who is one inwardly; and circumcision is that of the heart, in the Spirit, not in the letter; whose praise is not from men but from God” (Romans 2:28-29). Repent therefore and be converted, that your sins may be blotted out, so that times of refreshing may come from the presence of the Lord, and that He may send Jesus Christ, who was preached to you before, whom heaven must receive until the times of restoration of all things, which God has spoken by the mouth of all His holy prophets since the world began. For Moses truly said to the fathers, ‘The LORD your God will raise up for you a Prophet like me from your brethren. Him you shall hear in all things, whatever He says to you. ‘And it shall be that every soul who will not hear that Prophet shall be utterly destroyed from among the people.’ Yes, and all the prophets, from Samuel and those who follow, as many as have spoken, have also foretold these days. You are sons of the prophets, and of the covenant which God made with our fathers, saying to Abraham, ‘And in your seed all the families of the earth shall be blessed.’ To you first, God, having raised up His Servant Jesus, sent Him to bless you, in turning away every one of you from your iniquities.” Now as they spoke to the people, the priests, the captain of the temple, and the Sadducees came upon them, being greatly disturbed that they taught the people and preached in Jesus the resurrection from the dead (Acts 3:19-4:2). Notice that Peter was teaching that Jesus will be in heaven until “the times of restoration of all things” and that all the families of the earth would be blessed, and that this has to do with the resurrection from the dead. Oh, that the salvation of Israel would come out of Zion! When the LORD brings back the captivity of His people, Let Jacob rejoice and Israel be glad (Psalm 14:7). “For a mere moment I have forsaken you, But with great mercies I will gather you. With a little wrath I hid My face from you for a moment; But with everlasting kindness I will have mercy on you,” Says the LORD, your Redeemer (Isaiah 54:7-8). Now it shall come to pass in the latter days That the mountain of the LORD’s house Shall be established on the top of the mountains, And shall be exalted above the hills; And all nations shall flow to it. Many people shall come and say, “Come, and let us go up to the mountain of the LORD, To the house of the God of Jacob; He will teach us His ways, And we shall walk in His paths” (Isaiah 2:2-3). Surely you shall call a nation you do not know, And nations who do not know you shall run to you (Isaiah 55:5). Therefore the LORD will wait, that He may be gracious to you; And therefore He will be exalted, that He may have mercy on you. For the LORD is a God of justice; Blessed are all those who wait for Him (Isaiah 30:18). Notice that Isaiah 54:7-8 shows that God has forsaken some temporarily but that He will have mercy. Isaiah 2:2-3 specifically shows that all nations and many people will come to learn God’s ways. Notice that Isaiah 55:5 shows that nations who did not know God will come to God! And Isaiah 30:18 shows God will wait and have mercy–because He is a God of justice! Jesus rejoiced in the Spirit and said, “I thank You, Father, Lord of heaven and earth, that You have hidden these things from the wise and prudent and revealed them to babes. Even so, Father, for so it seemed good in Your sight (Luke 10:21). Does anyone honestly feel that the general Protestant position that the majority who have ever lived (including those that are now living) are doomed to suffer forever? Certainly the God of love and justice did not come up with a plan that would fail for most of humankind. And so all Israel will be saved, as it is written: “The Deliverer will come out of Zion, And He will turn away ungodliness from Jacob; For this is My covenant with them, When I take away their sins”. Concerning the gospel they are enemies for your sake, but concerning the election they are beloved for the sake of the fathers. How do we know that this does not occur until after Christ returns again? Because all Israel has not yet been saved! For Christ will come again out of Zion and “He will turn away ungodliness”. Furthermore, notice that Paul is teaching that those to be saved include those who are now enemies concerning the gospel. And that even those among the enemies will be saved. How can that happen without a resurrection when these enemies will have a proper opportunity for conversion? Why is the Gospel to Be Preached Now? Since God wants all men to be saved, and part of the purpose of preaching the Gospel is to make disciples (Matthew 28:19), is saving everyone now God’s intent? “And this gospel of the kingdom will be preached in all the world as a witness to all the nations, and then the end will come” (Matthew 24:14). The Gospel is NOW to be preached AS A WITNESS! The men of Nineveh will rise up in the judgment with this generation and condemn it, because they repented at the preaching of Jonah; and indeed a greater than Jonah is here. The queen of the South will rise up in the judgment with this generation and condemn it, for she came from the ends of the earth to hear the wisdom of Solomon; and indeed a greater than Solomon is here (Matthew 12:41-42). Jesus is telling the Pharisees and others that they should have at least understood what those in Nineveh understood or even the Queen of Sheba, for they currently received a greater witness. And He was telling them that they will be a further witness! The Old Testament shows that Jesus was intended to be a witness, “Indeed I have given him as a witness to the people” (Isaiah 55:4). John the Baptist was a witness, “John bore witness of Him” (John 1:15). Though Jesus also taught, “But I have a greater witness than John’s; for the works which the Father has given Me to finish–the very works that I do–bear witness of Me, that the Father has sent Me” (John 5:36). “I have come into the world, that I should bear witness to the truth. Everyone who is of the truth hears My voice” (John 18:37). “Jesus Christ, the faithful witness, the firstborn from the dead, and the ruler over the kings of the earth” (Revelation 1:5). The disciples were to bear witness, “And you also will bear witness, because you have been with Me from the beginning (John 15:27). Paul was told, “For you will be His witness to all men of what you have seen and heard” (Acts 22:15) and “But rise and stand on your feet; for I have appeared to you for this purpose, to make you a minister and a witness both of the things which you have seen and of the things which I will yet reveal to you” (Acts 26:16). Peter was a witness, “The elders who are among you I exhort, I who am a fellow elder and a witness of the sufferings of Christ, and also a partaker of the glory that will be revealed” (1 Peter 5:1). John and the other disciples were witnesses for, “the life was manifested, and we have seen, and bear witness, and declare to you that eternal life which was with the Father and was manifested to us” (1 John 1:2) and “we also bear witness, and you know that our testimony is true” (3 John 12). The Bible does also call Christian martyrs witnesses, “And I saw thrones, and they sat on them, and judgment was committed to them. Then I saw the souls of those who had been beheaded for their witness to Jesus and for the word of God” (Revelation 20:4). The word translated as witness here is marturia (mar-too-ree’-ah), and it is from that word that the word martyr is derived. Clearly the Bible teaches that the word of the gospel was and is to go out as a witness. And this witness will play a role in the ultimate conversion of those not called or incorrigibly wicked in this age. Unlike traditional Protestantism, we in the Living Church of God believe that since God is love, all wise, etc. that certainly He was able to come up with a plan of salvation that would result in the vast majority of humans who ever lived to be saved. The biblical holy days, which are not observed by traditional Protestants, help to show this plan. Did the Early Church Teach Purgatory? Is there a place called purgatory? Does God have a plan to help those who did not become saints in this life? The Feast of Tabernacles: A Time for Christians? Is this pilgrimage holy day still valid? Does it teach anything relevant for today’s Christians? What is the Last Great Day? This entry was posted on Tuesday, October 21st, 2008 at 6:24 am	and is filed under Doctrine.